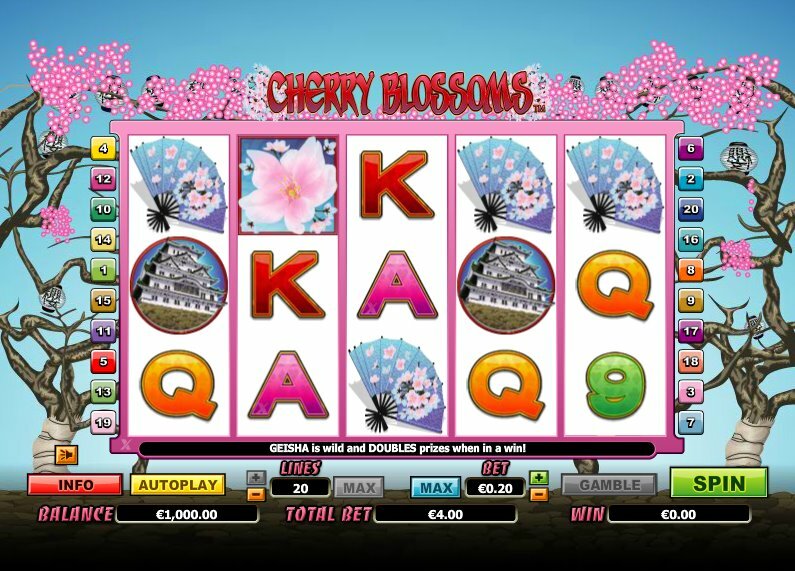 Not to be confused with the Oriental-themed slot of the same name from WGS, slot developer NextGen Gaming's journey into the world of pagodas, Geishas and lanterns - Cherry Blossoms - is a confident addition to the Asian slots genre. A 5 reel, 20 pay-line game, Cherry Blossoms sees you in the midst of a blossom-filled game screen in Japan, with icons like beautiful Geishas, pink lotus flowers, temples, bells, lanterns and fans, plus some bog-standard 10-through-Ace symbols. It might feel like you've seen these symbols and come across the vibe that is present on the reels before but I assure you this is not Asian Beauty by Microgaming! 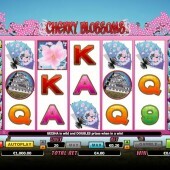 The reels have a pleasant Oriental theme, and when you hit a winning combo, pink blossom flies up off the screen. Betting ranges from $0.01 to $2 a spin, and with a maximum bet of $40 even the recreational slots players among you will have plenty to enjoy. The Geisha icon is the Wild in Cherry Blossoms – understandably - and she doubles all wins that she helps form. Five Wild symbols across the reels awards a fantastic 12,500-coin jackpot. The Geisha substitutes for all regular symbols other than the Scatter, which in this case is the Cherry Blossoms symbol. Three or more Cherry Blossoms Scatters anywhere across the reels awards 15 free spins, with 20 spins and 25 spins up for grabs for getting four and five Scatters on the reels respectively. If those sound like you kind of numbers, you'll be pleased to hear that the free spins can also be re-triggered during the bonus round. For fans of Asian-themed slots, players are serviced quite well by the various developers plying their trade in the online market. And if you're looking for other Asian thrills across five reels, check out NextGen’s Emperor’s Garden with some slick gameplay, while OMI’s Chinese-themed slot, Benny the Panda, provides a nice counterpoint. Not only that, but Benny the Panda offers not one, but two progressive jackpots.